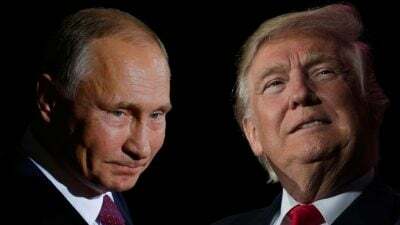 Trump-Putin Summit: Is the Media Ready? As the US-Russia Summit approaches, the media grows positively shrill in its warnings of disaster. Fears that a conversation with no witnesses (not even a translator!) could be fatal to America’s leadership of the world, that our ‘naive’ president, who hates to read, will give away the store, overrule any sense of reality. Americans concerned about our steady build-up to war should recognize the playbook by now: According to the 1995 Wolfowitz Doctrine which declares that no country should even dream of challenging our world hegemony, we must prevent that from happening by taking down those with the possibility of succeeding, i.e., Russia and China. Starting with Russia, since we already have NATO in place in Europe, right up to that country’s borders, we foment color revolutions in its near abroad, baiting President Putin to intervene in defense of Russian populations being aggressed by our puppets, then accuse him of failing to respect post-World War II internationally agreed borders. We tried it in Georgia in 2008, then did a ‘better job’ in Ukraine in 2014. I have not heard a single mainstream journalist signal either that Crimea had been Russian since the reign of Catherine the Great until Khruschev gifted it to Ukraine in 1953, or that its Russian-speaking inhabitants voted overwhelmingly to return to Russia in a May 2014 referendum similar to the one NATO sponsored in Kosovo in the nineteen-nineties, the soldiers guarding the streets while it was underway being seconded from the naval base conceded to Russia under a 1997 Agreement, whose details can be read as supporting either side claim to legality. However one chooses to read that agreement, Russia’s sponsorship of a referendum can hardly be compared to the fomenting of the so-called ‘Maidan’ (independence, sic) coup that set off the latest Russia-Ukraine crisis in a centuries long history of moving borders along Europe’s eastern march. And yet, upon this dubious claim to legality, the United States prepares for war, claiming its European allies are fearful of a Trump-Putin entente that would, in fact, result in them no longer being its inescapable battlefield. Deena Stryker is an international expert, author and journalist that has been at the forefront of international politics for over thirty years. She is a frequent contributor to Global Research. Her blog is www.otherjones.com. 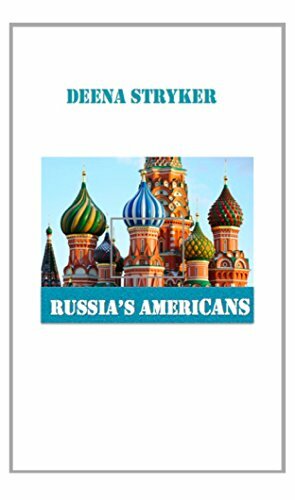 More than ten thousand Americans are currenty living independently in Russia. What are some of the reasons for their choice and how has it affected their view of the wider world. Illustrated with many color photographs from the author’s on site experience.